A long, scenic marathon and half-marathon event that takes runners along a course that unfolds entirely along the waters of the Indian River that flows between the cities of Cocoa and Cocoa Beach, the Space Coast Marathon & Half Marathon features a course known for long, flat stretches shaded by the ever-present palm trees along the roads. It’s also famous for its few long, sloping gentle hills, and for being Florida’s oldest marathon road race event, as race organizers and runners will celebrate its 48th annual running in the late fall of 2018. Featuring two half marathon courses, one running northbound (for the first half of the full marathon) and one running southbound (for the second half of the full marathon), both the 13.1-mile half marathon and the 26.2-mile full marathon start on Brevard Avenue near Cocoa’s Riverfront Park, whose pavilion serves as the finish line for both races as well. From the starting line, northbound runners follow an out-and-back course that takes them northward along Indian River Drive for the entire length of the course, for a long straightway for six and a half miles out and then a long straightaway return run for six and a half miles back in toward the finish line. The turnaround point lies at the intersection of Indian River Drive and Belmont Avenue, where the field begins the long trek back along the course they’ve just run. Because this is Florida and the race is run near sea level along the river, the course features only mild changes in elevation as the road rises and falls along the way. Meanwhile, southbound runners head south along Indian River Drive until reaching the turnaround point near Stonebridge Drive, then run back to the finish line at Lee Wenner Park. The elevation never drops below 10 feet above sea level or rises above 40 feet above sea level, and what hills there are, are long and gradual. Both half marathons and the full marathon course are certified by USA Track and Field, and can be used as qualifying courses for prospective Boston Marathon entrants. And because this is the “Space Coast” marathon & half marathon — the race course lies just a few miles away from NASA’s Kennedy Space Center — race organizers note that many runners come out and run the race in costume each year, wearing everything from Star Trek-inspired Klingon outfits to Star Wars-inspired Princess Leia costumes. 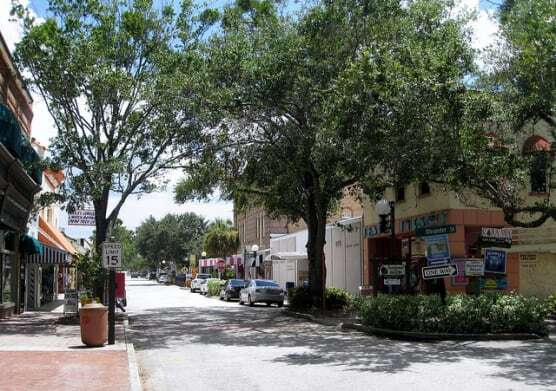 Perched along a four-mile stretch of Florida’s Indian River, the city of Cocoa lies about 50 miles east of Orlando and enjoys mild, moderate weather conditions in the fall, with moderate precipitation. In December, temperatures average between 53°F and 73°F, while rainfall totals average just over 0.8 inches for the month. On the day of the race (Dec. 1), the average low is 56°F and the average high is 76°F. See the race route map for the Space Coast Half Marathon here. To reserve your spot in the 2019 running of Cocoa’s Space Coast Marathon or Half Marathon race, register online at RunSignUp.com here. Ever run in the Space Coast Half Marathon? Share your impressions here, or post your review in the Comments below.